Once a week, Your News to Know delivers you the latest news about the market of gold and precious metals. Here are the stories we have for you this week: one of the world’s biggest gold nuggets ever found sells in California, gold rises on a weaker dollar, and China’s gold imports hit a five-month high. One of the biggest gold nuggets ever found in modern times has been sold to a secret buyer for an undisclosed amount of money, just one day after it was unveiled to the public in San Francisco, reported the San Francisco Chronicle on Saturday. 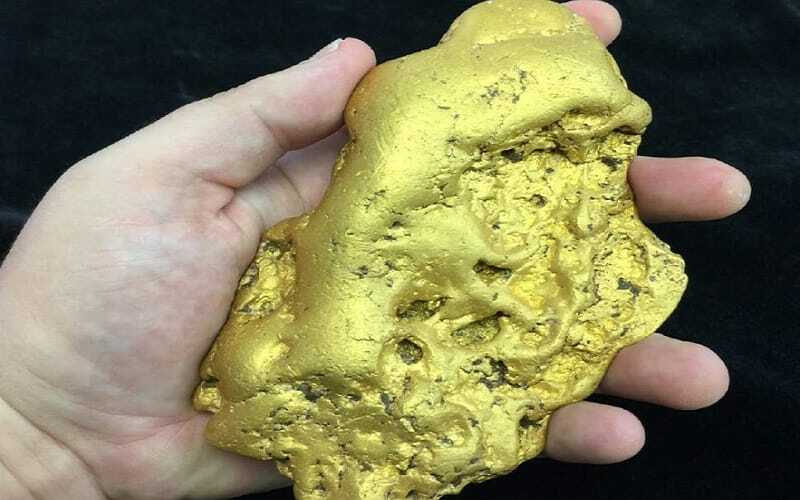 Found in California’s Gold Rush country in July by an unknown gold hunter, the so-called “Butte Nugget” weighs about 6 pounds. “The new owner wants to be secretive, so we can’t name him,” said Don Kagin of Tiburon, the coin dealer who acted as middle-man between the buyer and the prospector. The seller also wanted the exact price to be kept secret. “We were asking for $400,000 and it obviously wasn’t far from that,” said Kagin. Gold prices went up on Tuesday as softer U.S. consumer spending data pushed the dollar down, just ahead of Federal Reserve’s important policy meeting. The dollar dropped against most major currencies early on Tuesday after an important measure of U.S. manufacturing fell for a second consecutive month. Demand for the greenback has been driven by expectations of higher interest rates that could boost dollar-denominated assets. But interest rate hikes are not a sure thing until the Federal Reserve’s announcement. The Fed is widely expected to announce on Wednesday the end of an unprecedented stimulus program known Quantitative Easing that has pumped $3.5 trillion into the economy since 2008. There are speculations that the Fed may delay its move to higher interest rates, which could boost gold. China’s gold imports from Hong Kong in September hit a five-month high as the world’s biggest consumer of gold stocked up ahead holiday sales season. Net imports of the yellow metal totaled 61.7 metric tons in September, the most since April, according to data from Hong Kong Census and Statistics Department, reports Bloomberg. August imports were 25.6 tons. According to Mining.com, many gold market observers are skeptical of Hong Kong’s import data and believe that a lot of gold enters China unreported. Officially, says Mining.com, China’s gold imports move through Hong Kong, but recently officials have allowed imports via Beijing, a move that, according to some sources, lets the country keep its imports “under the radar” in its attempt to hoard gold. For more breaking news about gold and precious metals, follows us on Twitter.